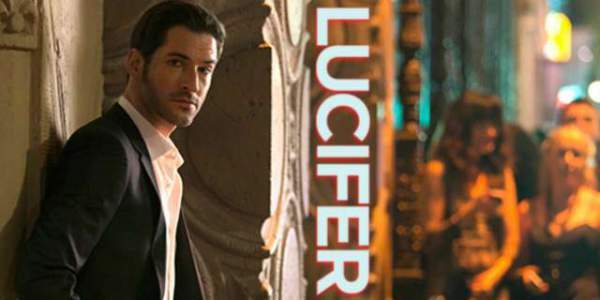 At the time when most of the shows are on a break after completing their respective seasons, the production team of “Lucifer” is already deep into script writing and filming. The writers are frequently sharing behind the scenes footage and photos to tell fans what is going on with the show. It looks like we might get a teaser for the second installment soon. This rush could also be due to Tom Ellis’s commitment to another show simultaneously. He earlier worked on the British TV show “Miranda” which is scheduled to restart production this year. Anyway, in the season finale of “Lucifer”, He was tasked with tracking down an escapee. The last word we heard in the episode was “Mom!”. So, it is confirmed that we’ll soon get to meet the God’s wife. Tricia Helfer has agreed to play Charlotte, Lucifer’s mother, and the God’s wife. Writers say that her character is going to be “quite crisp and meaty for someone.” She would be a major role in series and would be a regular throughout the installment. She has many interesting things about her. Physically, she wouldn’t be much older than Lucifer, but the reason and logic behind that would be explained later, in the show itself. Apparently, she wants to spend some time with her sons, but her intentions are not so innocent. She might be Lucifer’s mother, but she’s entirely different from him. For example- She despises humans. This is also the reason why she hates her son Lucifer’s increasing fondness for the detective Chloe Decker. Despite that, they are going to end up as a couple, say the writers. Most of the characters from installment one are expected to return for the second season. Lucifer would even make a trip to Dr. Harris’ clinic. It is not yet known if villains from the first season would return.